Cryptocurrency becomes an increasingly frequent subject of discussion among the people. An increasing number of companies take it as a form of payment for goods and services. There is a unique service called “Coinmap,” which allows you to find an institution whose workers will be glad to accept BTC instead of pure money anywhere in the world. Officially, there are no such places in Russia, but there are lots of them in Europe, USA, and Latin America. The online store “Overstock” allowed its clients to pay with cryptocurrency in August 2017. Nowadays, the company accepts not only super popular Bitcoin, but also Ethereum, Litecoin, Dash, and Monero. The asset exchange service “ShapeShift” is used for the registration of transfers. It is rightfully considered as one of the fastest exchangers: currency conversion and transfers take only a few seconds. Expedia is one of the most extensive services realizing the booking of tickets and hotels for BTC. Transactions pass through the platform Coinbase, which levies a small commission. You have to be very careful with Expedia: transaction paid for by bitcoins can’t be canceled. According to the company, it’s not their policy, but the working principle of the blockchain. 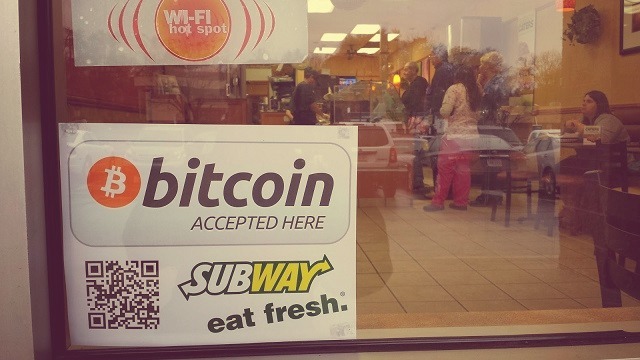 The fast-food chain “Subway” offers the fans of Bitcoin discounts from 10 to 15%. Meanwhile, this privilege acts not only in the homeland of the company (USA) but also in other cities, including Moscow. In 2017, there were rumors that “Subway” would start taking other coins (Ethereum and Tether), but the information has not yet received official confirmation. PayPal is one of the first companies that recognized cryptocurrency as a means of payment. Nowadays, it gives its customers the opportunity to purchase BTC and ETH for real money, make transfers and pay for purchases in online stores. However, many users note that when making a crypto transaction, PayPal can freeze the wallets or cancel the transfer without warning. As on eBay and Etsy, on the Shopify platform any interested person can start his own online store and indicate the preferred payment methods, one of which is Bitcoin. So far, it’s the only cryptocurrency the service works with. 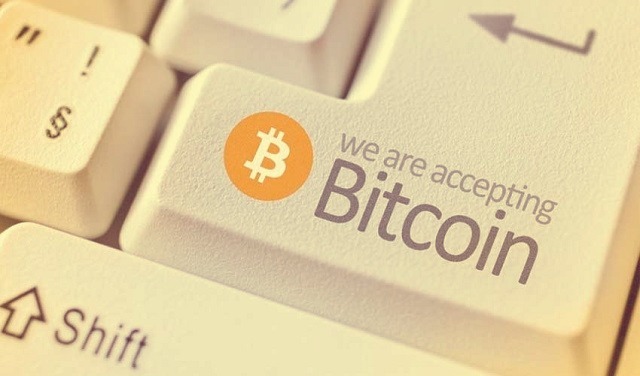 The website administration warns that bitcoin transactions take more time than common transfers, but in spite of that, the users have a positive attitude towards innovation. In December 2014, Microsoft Store Online provided an opportunity to pay with bitcoins. All was well, but in 2014, Microsoft reported on its website that the use of bitcoins on its account had stopped. After several hours, the company management apologized and deleted the publication, reporting that it was posted by mistake. Something similar happened again in January 2018: the ability to make cryptocurrency payments was suspended for several days, but now it operates in normal mode. It seems that the company is really scared of rate fluctuations, but is not ready to refuse from bitcoins yet. If such large companies weren’t scared of cryptocurrency but actively supported its distribution, why others didn’t? One of the reasons is the extreme instability of such currency. Sharp shifts in its value (sometimes within $1000 per day) can cause losses the small business just can’t handle. Besides, there is an acute concern about the recognition of virtual money at the state level: it is easy for the government to recognize crypto transfers illegal or impose huge taxes on them. However, it’s not so bad. The number of countries loyal to Bitcoin is rising steadily. As its supporters include large international organizations, it is safe to assume that in the near future, Coinmap will be replenished with the new icons. Then it will be much easier to spend abstract digital savings on something real.